If you're anything like me, then you like to spontaneously paint on loose watercolour paper using a lot of water. I don't pre-stretch my paper before painting (I'm too impatient), and the watercolour block paper is expensive and limiting in size, texture and colour. The downside of painting on loose paper is the warping and buckling of it as it dries (the thinner the paper, the worse the warp). Buckled paper is a pain to work with. Especially if you're intending on scanning your work, or even if you want to take a photograph of it for social media. 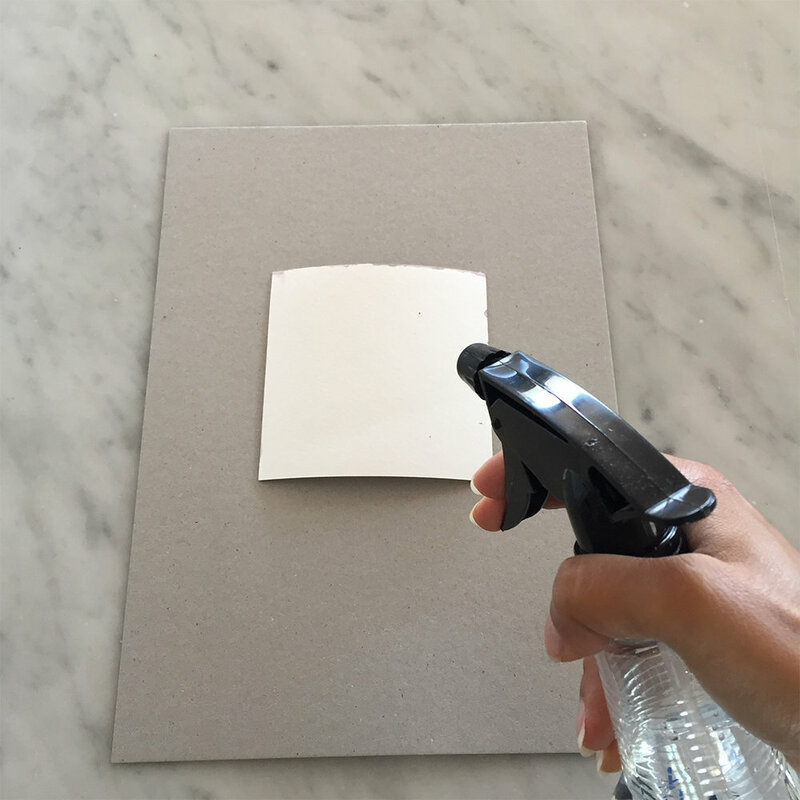 Here's a little trick I use for flattening paper after you have finished your masterpiece and let it dry. - Two pieces of cardboard the same size or larger than your paper (I like to use thick box board). - Water sprayer bottle with the nozzle set to spray at a very fine mist. - A flat surface you won't need to use for at least a day. - Some super heavy books about the same size or larger than your paper. - Place your first piece of cardboard on your flat surface. - Place your paper with the artwork FACE DOWN on top of the cardboard. - Get your water sprayer bottle and spritz over the paper from a height of about 20cm. Cover the back of the paper with a light mist of water, the idea is you want to LIGHTLY dampen the paper, NOT saturate it. - Place the second piece of cardboard on top of your lightly dampened paper. Place all the super heavy books you have on top and leave it for at least 24 hours. - Since there is not much room for evaporation of the water from the paper while covered and under weight, sometimes (depending on the weather) after you lift all the books off, the paper will be flat but not 100% dry so may slightly warp again if left to air dry. If this is the case, let the paper air dry for an hour or so, and place it under the weight again for at least 24hrs again. Tip: Get into the habit of storing all your paper under some sort of weight to ensure they stay flat and to keep them away from the light. Voila! Now you have a relatively simple way to flatten your warped paper. I would love to see your before and after photos. Tag me on social media so I can see how you went.